There’s nothing better than kicking back after a long day of work and enjoying your beautiful and unique outdoor oasis – until the days start to get shorter and the weather begins to cool. If you wish enjoyment of your custom backyard space wasn’t limited to the summer months, you’re in luck. With custom fire features from Outdoor Elements Inc., you can add light and warmth to your outdoor living spaces that allow you to use them after dark and into the colder months, both for relaxation and entertaining. If you live in Rock Valley or Sioux Center, Iowa or Sioux Falls, South Dakota, you understand the beauty and appeal that each new season can bring, from the green buds and grasses of spring, to the long, warm days of summer, to the colorful leaves of fall, and finally, the soft blanket of snow in the winter. And yet, you probably wish you could enjoy more time outdoors in your peaceful backyard sanctuary. 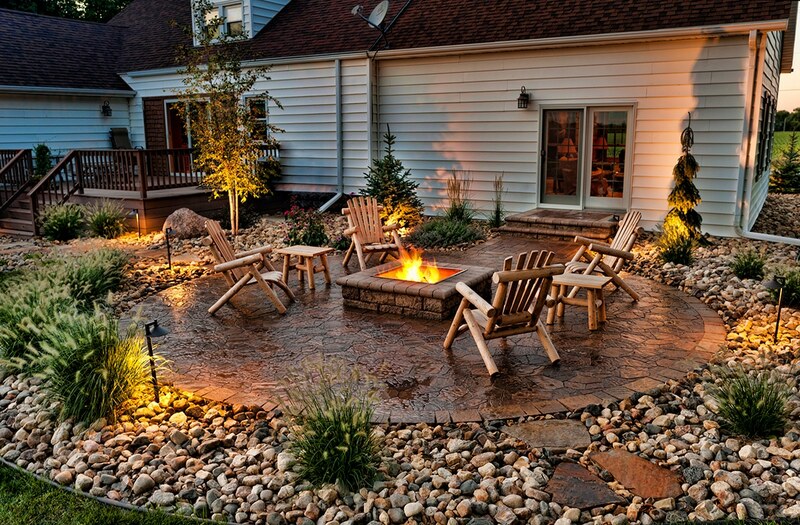 Your options for building a fire feature for your backyard are practically unlimited, but the project starts by choosing between an open fire pit and a more enclosed fireplace. 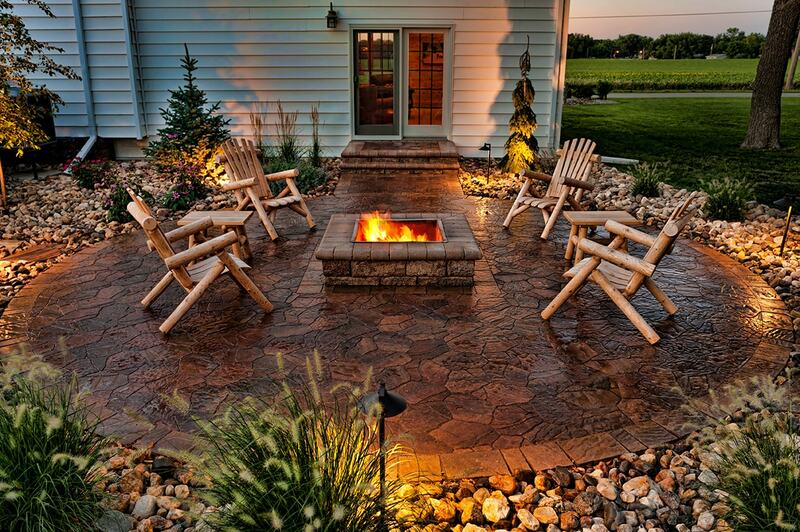 The perfect fire feature for your outdoor space could depend on placement and how you plan to use it. If you have a covered outdoor room, a fireplace might be a better option. The same is true if you're keen on a fire feature that does double duty as a heating element and a place to smoke meats or cook pizzas, just for example. 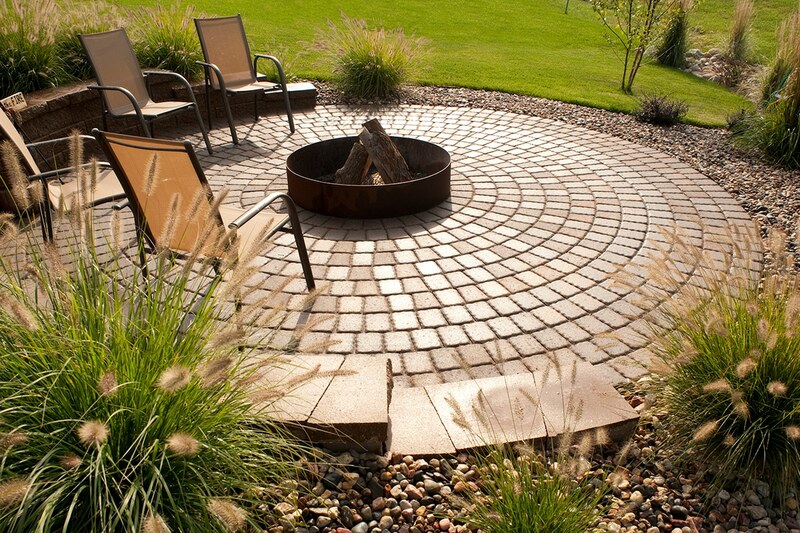 If you'd rather place your fire feature in a centralized location in the yard and accommodate large groups for roasting marshmallows, a fire pit could provide a better solution. 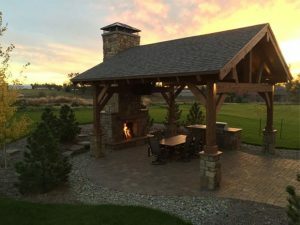 Whatever your wants and needs, Outdoor Elements Inc. can help you to choose the design and materials that are right for your outdoor fire feature, ensuring years of enjoyment. As with any home upgrade, designing your fire feature can be a bit overwhelming - there are so many options available! You've no doubt seen samples you like, but would tweak if given the opportunity. 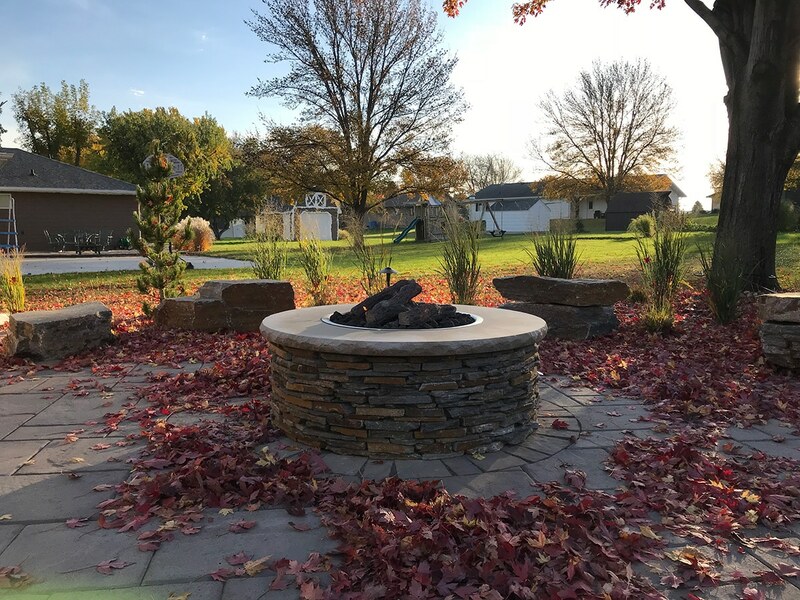 Outdoor Elements Inc. is ready to accommodate your every desire with a custom fire feature designed exclusively to suit your outdoor space and your personal aesthetic. 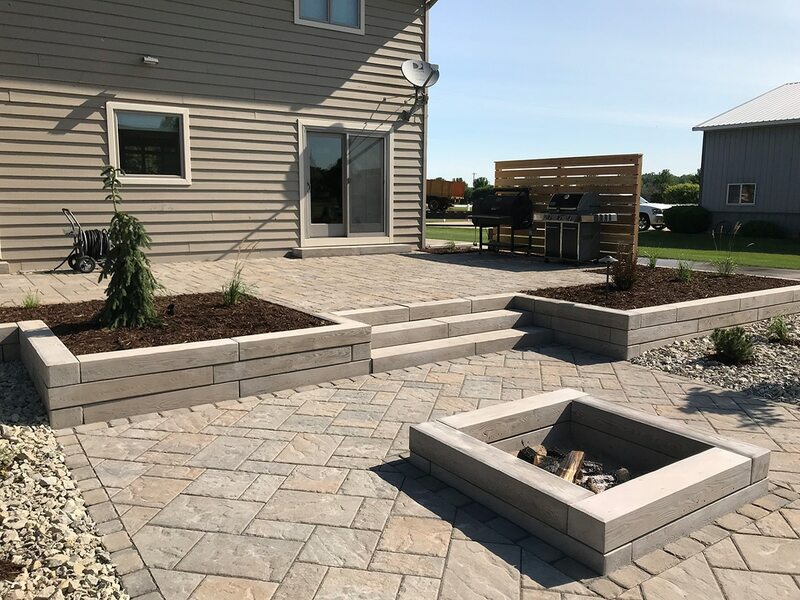 Whether you're designing your entire backyard or you're just adding a fire feature to the existing landscape, our team of professionals will work closely with you to improve the function, appeal, and versatility of your outdoor space, and ensure complete satisfaction. 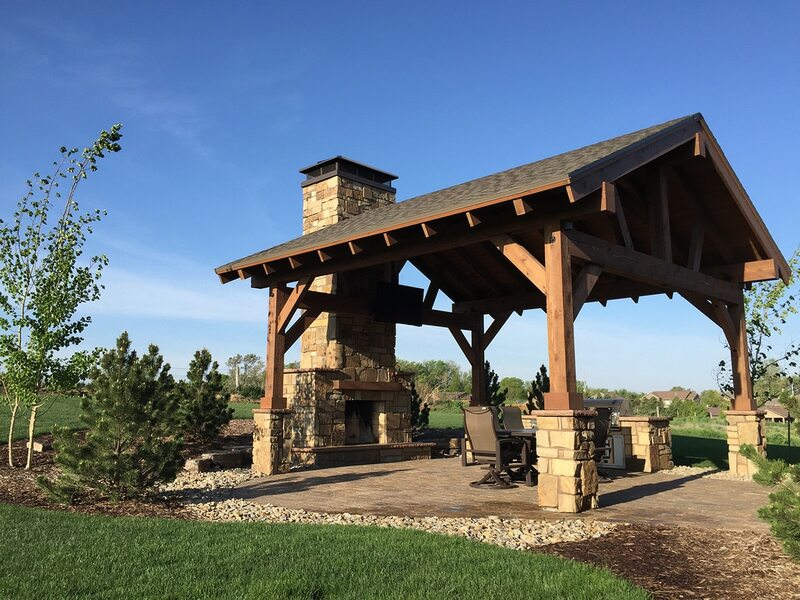 With a team of trained professionals and years of experience working with customers in Rock Valley, IA and Sioux Falls, SD, Outdoor Element Inc. is uniquely qualified to design and build the fire feature that will best suit your outdoor living space. Contact alex@outdoorelementsinc.com today to schedule an appointment for consultation.